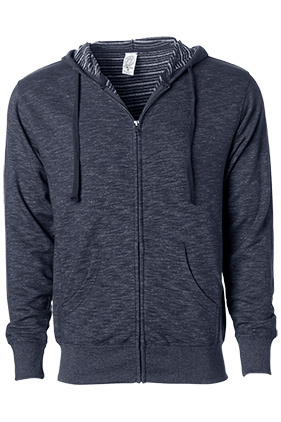 80% cotton/20% polyester 8 ounce baja stripe french terry full zip hood. Split stitch double-needle sewing throughout. Finished with #5 YKK antique metal kissing zipper, twill neck tape and front pouch pockets.